Not all sustainable farmers sell food. 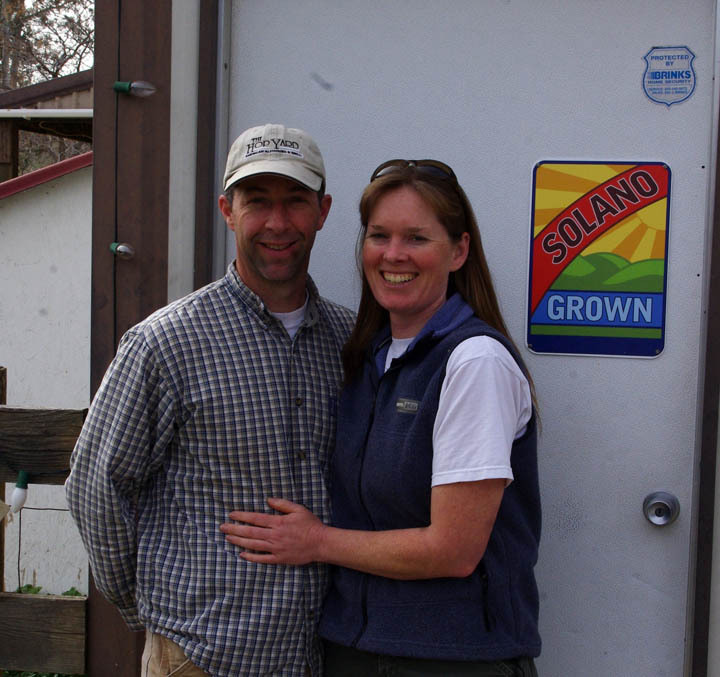 This month post is on Castle Rock Farm in Vacaville, California owned by Sarah Hawkins and Andy Pestana. 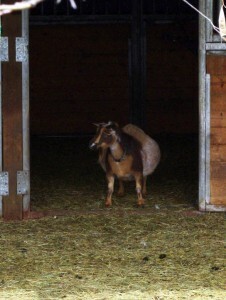 Castle Rock Farm is well known for their high quality Nigerian Dwarf Goats and it’s where our girl Sedona is from. But Castle Rock Farm is so much more than just Nigerian Dwarf Goats. When we pulled up there was a family there and on the grass were two very happy kids, of the four legged persuasion, bouncing around like popcorn. They really don’t get any cuter than that and I was starting to miss having kids around here. The family scooped them up and got in their car and left. Over on the stanchion stood a very pregnant doe who was getting a birthing clip from Andy. The clip is to help streamline the doe and keep all the goop from getting stuck in her fur when she kids. It also allows you to monitor the changes in her body that occur right before kidding. 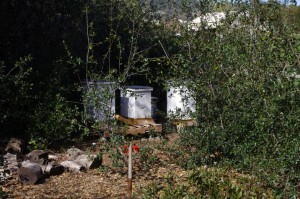 Our tour began with the bees which were nestled back amongst the oak trees. 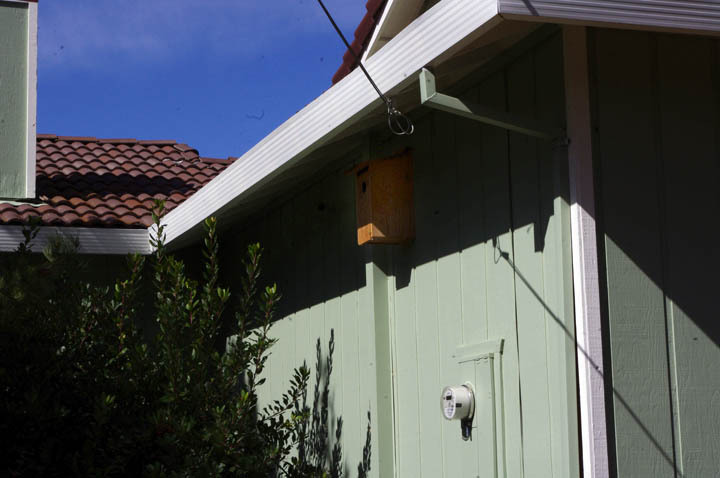 The bees provide not only honey for the farm but also beeswax and propolis for Sarah’s main business, English Hills Soap Company – soaps and skin care products that utilize the goat milk that her goats provide. She’s currently working on rebranding to English Hills Naturals to include some new products. I’m a HUGE fan of handmade skin care products. They don’t contain all the chemicals that the drugstore stuff has and they are generally much easier on your skin and hair. 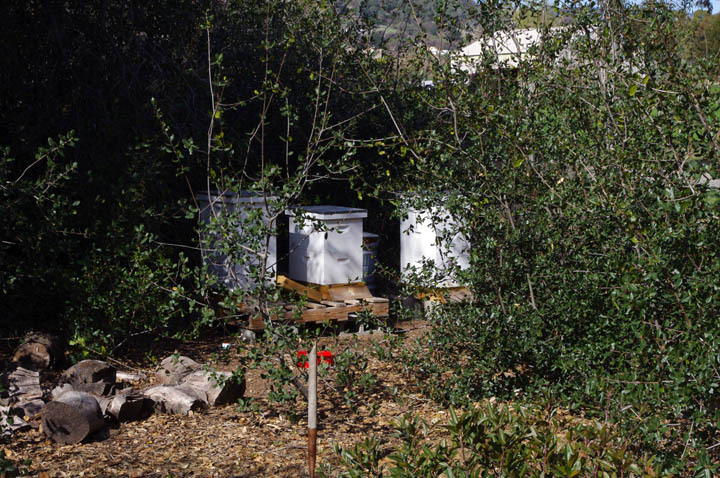 Surrounding her hives she has a California native garden, which is another passion she has. It was so much fun talking plants with her. It’s not something I get to do very often with people outside of my field. Their mission for the property is to only grow natives or edibles. Both of which open up more income possibilities. Sarah is also starting a native plant nursery and even possibly selling herbs and tea in the future. Walking around the property we got to see the buffer she is creating around the edge with native trees and shrubs. There’s the greenhouse that contains cans and cans of native plants inside and out and a small fruit orchard. While caring for and revitalizing the flora on their property, the are also providing homes for the local fauna as well, including multiple birdhouses. 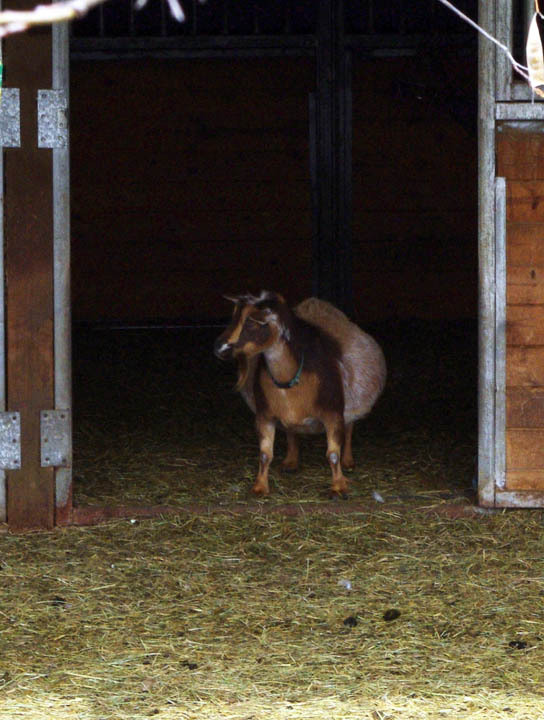 Of course the goats have the biggest part at Castle Rock Farm. 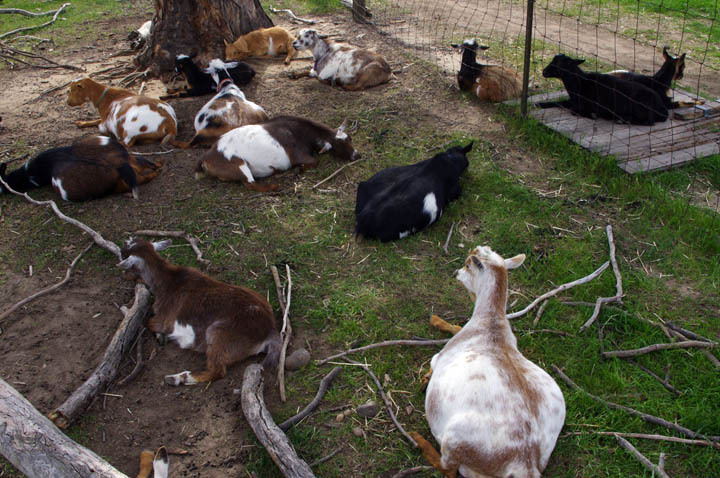 It was a beautiful warm afternoon between rainstorms when we were there and most of the goats were lazily laying in the shade for their siesta. The ones that weren’t sleeping were chasing each other and one doe was teasing the bucks on the other side of the fence. The blubbering was some of the best I’ve heard. There was even a “la la la la la” from one of the bucks (I think it was CRF Tanzanite). Seeing some of the pregnant does made me start to question Sedona’s status. She only had about 5 weeks left of her pregnancy and didn’t look pregnant at all while some of the does that weren’t that far were huge. After talking with Sarah and Andy separately about it, I felt reassured that she was pregnant (and now it’s quite clear). 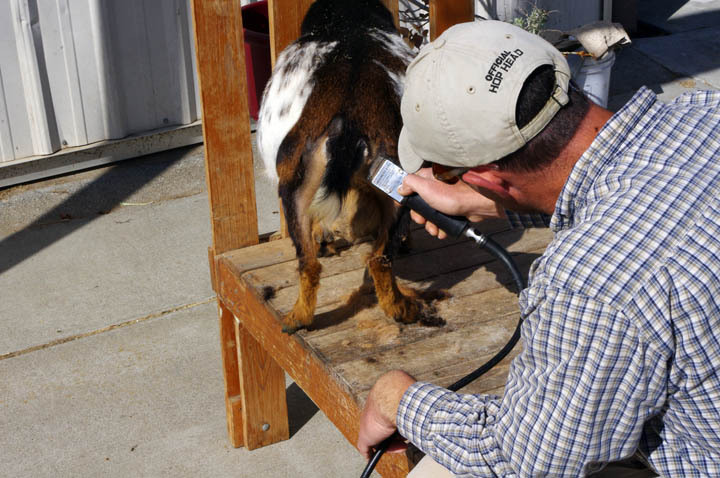 We talked a lot about goat health in general and I learned a lot from them. It was fantastic spending most of the day out there. Before we knew it we realized we had to run. They were very gracious hosts and we thank them for being so generous with their time and knowledge. I meant to buy some of her products while we were there. I’ll just have to make sure I pick some up the next time we go over there. If you’re interested in checking out what their skin care products, you can find them online or at the Davis Farmers Market. They may possibly also be at the Vacaville and Napa Farmers market in the future. Wow, Infinity wasn’t quite so close to kidding the first time I met her. I had to laugh, after seeing your picture of Infinity, I now know why Lotus was so huge when she hit the ground! You should check out Foggy River Farm. All of their goats live happily on the rather steep slope above their home. Even the barn is built into the hillside.